Quite a while has passed since I last updated you on my academic adventures. This is definitely not due to lack of issues to write about, nor is it a sign of a standstill. On the contrary! This article has been waiting to be published for a while in the abyss of the cloud, or my computer…. The next one will not wait that long, I promise. The Academy of Management (AOM) conference took place in August like it does every year. This time the researcher, practitioners and students gathered in Vancouver, British Columbia. What a fantastic city! Aalto University had 56 representatives in the conference, quite an achievement for a university of a small country. You can compare this figure with Harvard’s 87 representatives and say; well done, Aalto! As some of you might remember, I submitted a paper to AOM 2015. It was not accepted, and actually I am very happy about that. Explanations follow. Vancouver with breathtakingly beautiful nature (I was very happy to see only sunny days in a city famous for frequent rainy days), was a fantastic experience for me both academically and from the point of being exposed to my own research area and the top researchers. Sitting in the paper sessions and seminars was like reading my bibliography, but “live”. Almost all the big names in Talent Management were there; Dave Collings, Paul Sparrow, Nicky Dries, David Lepak, Carole Tansley, to name a few. Not forgetting Aalto’s own Ingmar Björkman, whose research on Talent Management has paved the path to many, including myself, and still continues to do so. Other big names in management research I was lucky to listen to, were Jeffrey Pfeffer and Henry Mintzberg. Why was it a good thing that my paper was not accepted for AOM? Because it was not ready in January, when the papers for this huge conference (more than 10 000 participants in 2015) need to be submitted. I have been working on this paper on “Defining talent in a non-profit organization” with the invaluable help and support of my supervisors Henrikki Tikkanen and Janne Tienari. Their strict and focused comments and corrections combined with my “sisu” and determination to do a good job, however, produced a paper that was accepted to a Talent Management Workshop in Valencia at the end of September. My passion towards the topic itself and the research organization certainly have an impact on how enthusiastically I spent my weekends and evenings in the library buried (metaphorically) in all the material around the topic. It is amazing how time flies when you are having fun! The non-profit organization in the center of my research is the International Federation of the Red Cross and Red Crescent Societies (IFRC). What I am looking at is a project at the HQ level. It has clear connections to talent management even if not explicitly regarded as such in the organization itself. The non-profit or rather the NGO (non-governmental organization) context is interesting and from the point of view of academic world a rather “un-researched” one. Thus, one of my research questions is “what can corporations learn from NGOs in the field of talent management.” But in this paper, part of my future thesis, I am concentrating on the importance of defining what talent means in the IFRC, how the definition shows in the identification, recruitment, development, deployment and retention of the talent. The list of accepted papers for the Valencia conference was long, and the authors, once again, “household names” in Talent Management. I had the honor to present during the first day in a session chaired by David Collings and Hugh Scullion. Exciting, interesting and certainly educating! The paper was well received, with many excellent comments and questions. In addition to the thesis writing, the DBA studies naturally include quite a number of courses we need to pass before even dreaming about a title. I have four of them more or less done, five or six to go. The “courses” in the DBA case mean reading and writing – and between those two activities loads of reflection and new insights. The number of papers and articles in one course range from 20 to more than 35, some of them include books. These are the issues I work with when not actively writing papers, articles or the thesis itself. The next one to tackle is Course on Research Methods - Historical Approaches to Management Research. I am actually looking forward to it, now that my next version of the paper I presented in Valencia has been submitted to Academy of Management 2016! Have a great 2016! As always, stay curious. I will update you soon. 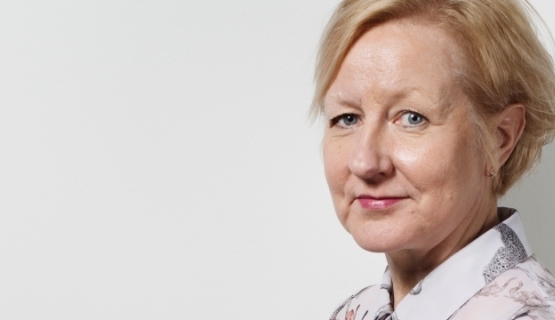 Riitta Lumme-Tuomala is Director, Russia and Talent Management, Marketing and Alumni Relations at Aalto EE. She is also an Aalto Executive DBA candidate.